I finished this hat last week but had never photographed it. 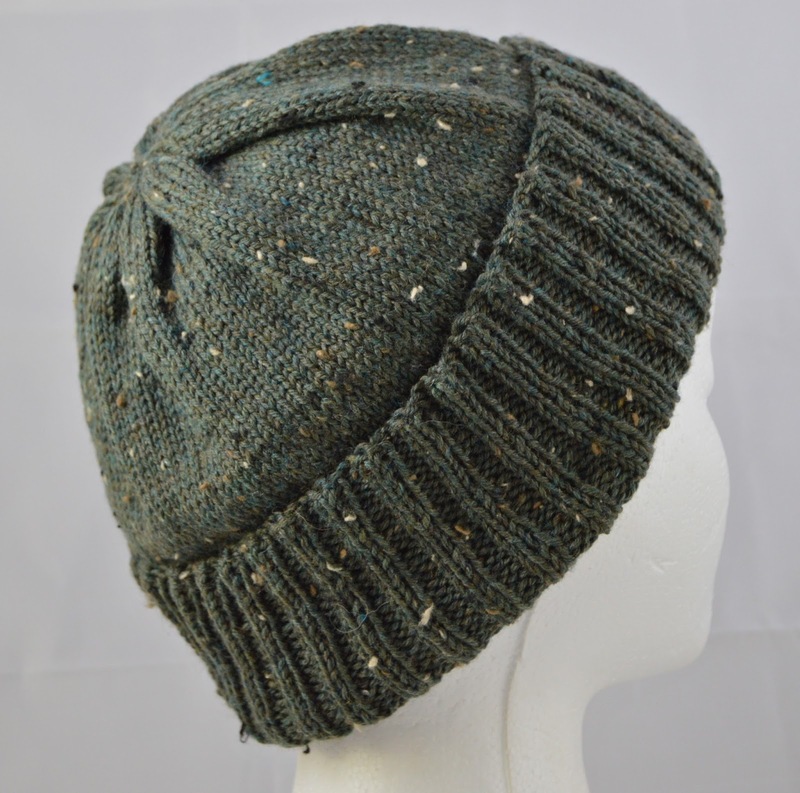 It's knit with US3 needles and Knit Picks Stroll Tweed in Lost Lake Heather. 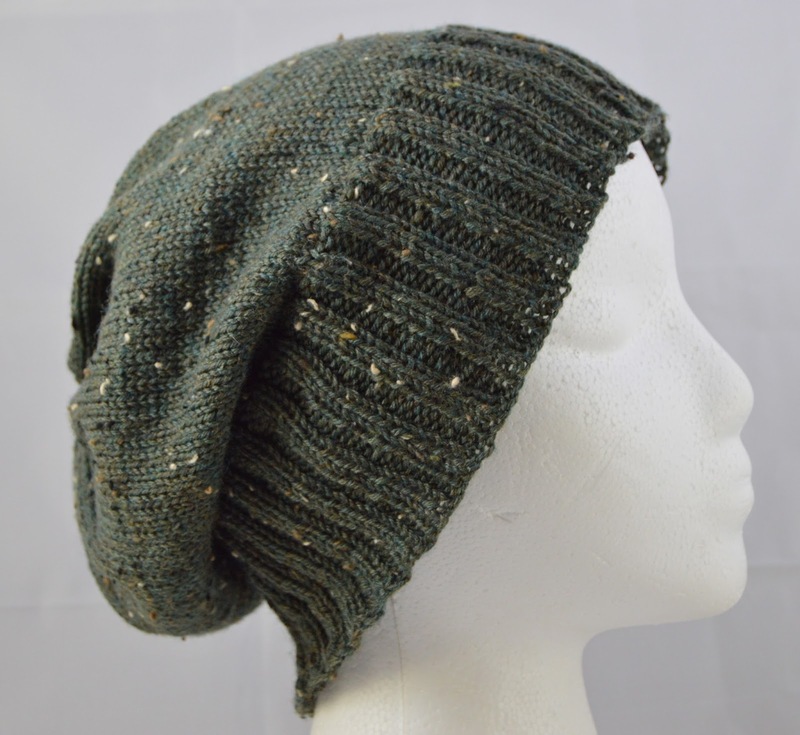 It can be worn with the brim folded up for extra ear protection, or slouchy style. My Hitchhiker scarf is coming along. It's got 31 teeth now. I started yet another 10-Stitch blanket. Laugh all you want, but I couldn't get past the fear of running out of scrap yarn and I had several extra skeins of Knit Picks Hawthorne laying around.... The plan is, while knitting this 10-Stitch blanket, I'll finish the scrap yarn mitered square blanket, then return to the scrap yarn 10-Stitch I started the other day. That's the plan. And since I try to always have something shop related on the needles, I cast on another hat. The yarn is Felici Splash, once again from Knit Picks. I am loving this colorway! It's very beachy & splashy which is a warm welcome to the current dreary February weather. It also reminds me of mint ice cream which is one of my absolute favorites. And now I'm craving mint chocolate chip ice cream. What's your favorite flavor?